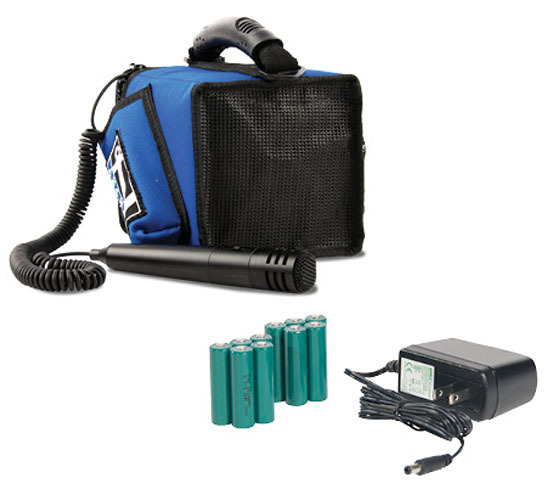 Product HWD: 5.5" x 5.5" x 6.5"
The Anchor MiniVox Lite public address system is a lightweight, compact, conveniently battery operated unit widely praised by users across all industries. 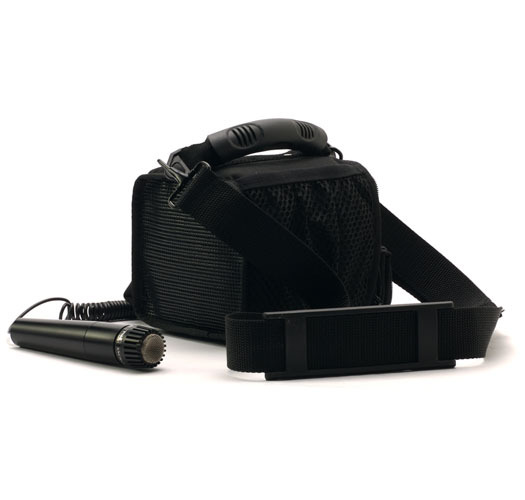 The package includes wireless microphone upgrade options and a shoulder strap for mobility. 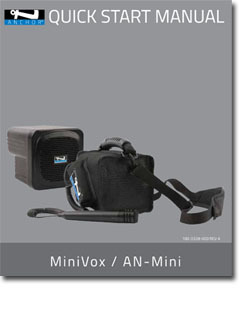 The MiniVox Lite comes in a variety of colors including black, blue, red or yellow. The Anchor MiniVox is great for auctioneers, law enforcement, search and rescue squads, tour guides or any person needing voice amplification. Sometimes called the Auctioneer Sound System the Anchor Audio MiniVox is perfect for auctioneers want to take a sound system around with them. At Ozarks Audio Visual we pride ourselves with great customer service and product knowledge. We are a Platinum Anchor Audio dealer with years of experience working with, setting up and selling Anchor Audio products. When you place your order we will provide you with an invoice or necessary paperwork for your records. When your order ships we'll send you a tracking number so you'll know when to expect your package. Place your order online or give us a call and check out our fast, efficient, friendly service today! The Anchor MiniVox Lite units sold are brand new units shipped from our warehouse conveniently located in Missouri or directly from Anchor located in Carlsbad California. Orders usually ship the same day or the next business day. If you have any questions please feel free to call our office at 800-960-4287 or e-mail us at sales@ozarksav.com. The Anchor MiniVox Lite has the inputs you need for today's equipment. A 3.5mm line Input allows you to plug-in an Android, iPhone or CD Player. A powered mic can be plugged into the 3.5mm Lo-Z phantom power jack and a 1/4" mic jack is also available for the supplied wired mic. Playing music through the MiniVox Lite is as easy as connecting your Android, iPhone or CD Player to the Line In plug. You can also talk over the music when using the supplied wired mic or the optional wireless mic. The MiniVox Lite volume knob controls the audio source and microphone levels simultaneously. Set the volume level then use the volume control of your music player to set the volume of the music. If using the model with the wireless mic there is also a wireless volume control that allow you to set the volume of the wireless mic separately. The MiniVox Lite volume knob will still control all the inputs of the MiniVox Lite including the wireless mic. The Anchor MiniVox Lite-BP includes the MIC-50 wired mic. This mic includes a coiled cable with a 1/4" plug an on/off switch. The mic plugs directly into the MiniVox Lite. The Anchor MiniVox Lite-BP includes the RC-30 Recharge Kit and batteries. 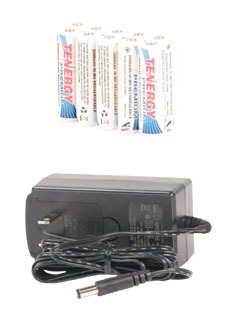 The recharge kit includes 10 AA rechargeable batteries and a AC_30 charger. The AC-30 charger will connect directly to the unit allowing the batteries to be charged while they remain in the unit. The Anchor MiniVox Lite can also be ordered with a wireless UHF mic and built in receiver. 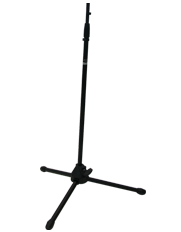 The PB-30U1 offers 16 user-selectable channels for great wireless reception. 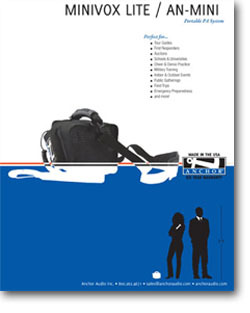 To save money purchase the MiniVox Lite Deluxe Package they operate. The SS-300 Speaker Stand will accomidate the MiniVox Lite sound system. The case will need to be removed in order to be put on the stand..
Dimensions: 32" x 1" x 1"
Below are the Spec Sheets and Brochures for this system. These are printable spec sheets in .pdf form.